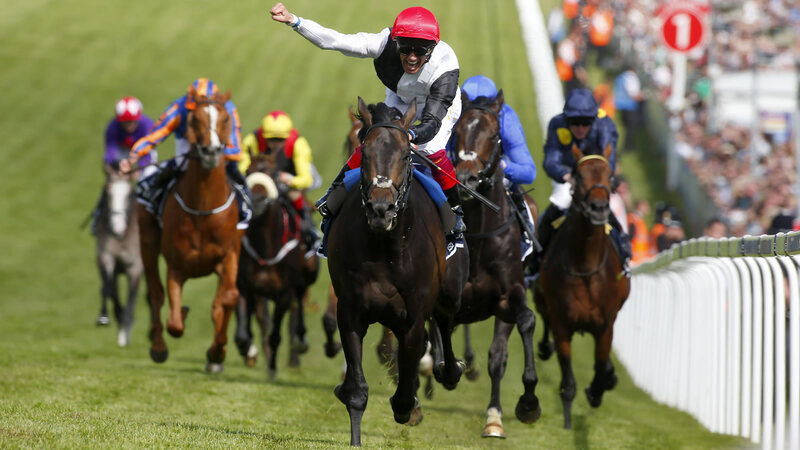 Can anything derail Golden Horn’s King George assault? Can anything stop Golden Horn in the King George? He’s already a good horse, a damn good horse. On Saturday he could become a GREAT horse. He’s currently five from five in his short career and he has the Epsom Derby and the Coral Eclipse firmly signed, sealed and delivered on his CV. The next step on the road to super-stardom for John Gosden’s 3yo is the G1 King George VI and Queen Elizabeth Stakes, a race he is already trading at protracted odds of 1/2 to grab glory in. There is a distinct sense of he only has to turn up to secure his place in history, to put himself up there within touching distance of the greats. Derby>Eclipse>King George winners don’t come along all that often but he’s on the verge of that hat-trick. There appears little to stop him in his bid for his third Group one success on the trot. But there IS a chink. A small straw that his opponents can desperately grasp at as they look for even the smallest weakness in the Cape Cross colt’s weaponry. And what is that chink in the armour? The King George is one of the strongest races on the racing calendar when it comes to Dosage. Few can match it’s strength and year upon year horses with similar Dosage Profiles capture the crown. Golden Horn does NOT fit that profile. As you can see his DI & CD figures are higher than ideal for the race. No horse in the last 15 renewals has won with a profile similar to this. So that’s settled then. He gets beat. We should all start bashing the pink button and loading up on the lay side. It’s merely a minor chink in what is possibly impenetrable armour. And this boy is on the verge of being GREAT. I’ve seen the superstars brush aside Dosage ‘negatives’ in the past. SEA THE STARS is a great recent example. He really wasn’t winning the races his Dosage profile suggested he could. But he didn’t care. He was a great. He was a superstar. Normal rules don’t apply to those types. I personally won’t be backing Golden Horn on Saturday. I’m not the type to load up on a 1/2 shot and I don’t fancy starting that now. I’m not a drunk student lumping on See More Business to win the Aon Chase at 1/3 anymore! Thankfully those days are long gone now. I will, however, use my facts and figures to try and make a case against Golden Horn and look for value elsewhere in the market. Dosage gives me a ray of hope I can get him beat. Experience tells me he’s probably (although not definitely) good enough to stick two fingers up to my Dosage thoughts as he saunters to victory. Will GOLDEN HORN make another leap towards greatness by demolishing the King George field? Rain can beat the Golden one because there will be an emphasis on stamina in tomorrow’s conditions after today’s downpours so I’ve backed Eagle Top @ 8/1. For sure. Although a Derby winner he isn’t bogged down with stamina influences and it could become a slog if the rain really gets into the ground. Eagle Top is quick but has no form on Soft. Dylan Mouth (33/1) and Madame Chiang CD (66/1>33/1)are both soft ground performers. 12F on Hy will make an interesting race! Heavy ground will certainly make things interesting and there seems to be a real chance of that happening if the rain keeps a-coming!